It is time to set up a nice chess puzzle sent to us by Chess King. In this balanced position, White played the simple looking 25.Nxc5. But, it was a huge blunder and lost the game. 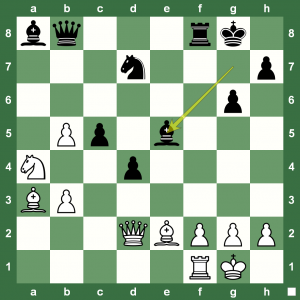 The position is from Georgiev Kiril (MKD) (2660) – Rogers Ian (AUS) (2595). Can you say why 25.Nc5 is a blunder? Click on the diagram to see the solution.